A dozen downstream Florida counties want to meet with the Valdosta City Council, elected officials to elected officials, to present a resolution they passed urging the states of Florida and Georgia to do something about Valdosta’s sewage, and to discuss raising funds to help Valdosta fix its sewage infrastructure, so the Florida counties can restore their eco-tourism on the Withlacoochee, Alapaha, Suwannee, and Santa Fe Rivers. Restoring eco-tourism came up again and again. It’s not just the actual sewage, which never gets to Taylor or Alachua Counties. It’s the stigma of sewage in the rivers. 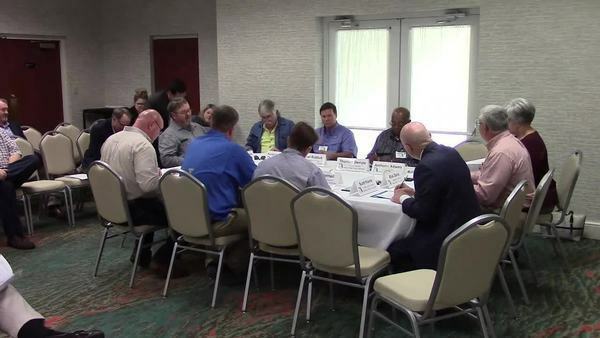 Fixing Valdosta’s spills and regular testing to find other sources are needed. Valdosta said no. So delegates from all dozen counties are going to come to the March 21, 2019, Valdosta City Council Regular Session and speak in Citizens to Be Heard, three minutes each, some time after 5:30 PM that Thursday evening. This entry was posted in Law, Quality, River, VWW and tagged Alachua County, Alapaha River, Bradford County, Columbia County, conservation, County, Dixie County, FDEP, Florida, Florida Department of Environmental Protection, Georgia, Gilchrist County, Hamilton, Lafayette County, Law, Levy County, Madison County, MCWTP, Middle and Lower Suwannee River and Withlacoochee River Task Force, Mud Creek Wastewater Treatment Plant, NCFRPC, North Central Florida Regional Planning Commission, north Florida, quality, river, Rivers Task Force, Scott R. Koons, sewage, south, south Georgia, SRWMD, Suwannee County, Suwannee River, Suwannee River Water Management District, Suwannee Riverkeeper, Taylor County, Union County, Valdosta, VWW, watershed, Withlacoochee River, Withlacoochee Wastewater Treatment Plant, WWALS, WWALS Watershed Coalition, WWTP on March 2, 2019 by jsq. Received Thursday. 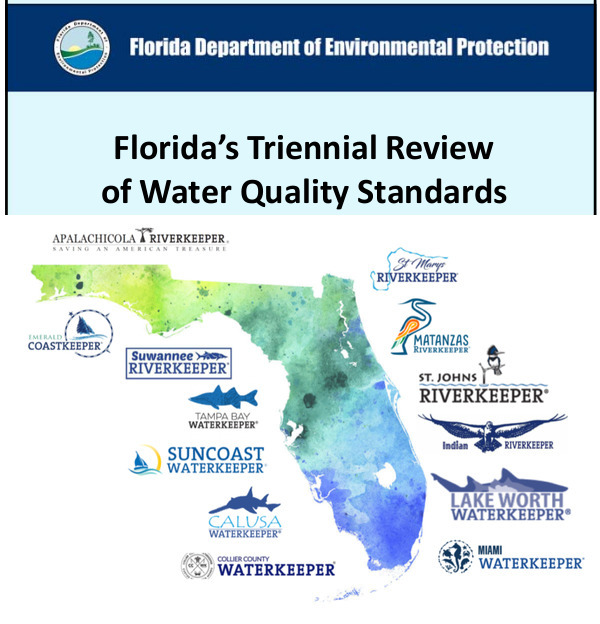 The Rivers Task Force of the dozen downstream Florida counties will be voting next Thursday on a resolution asking the State of Florida (FDEP, SRWMD, etc.) to do something about Valdosta’s sewage spills. 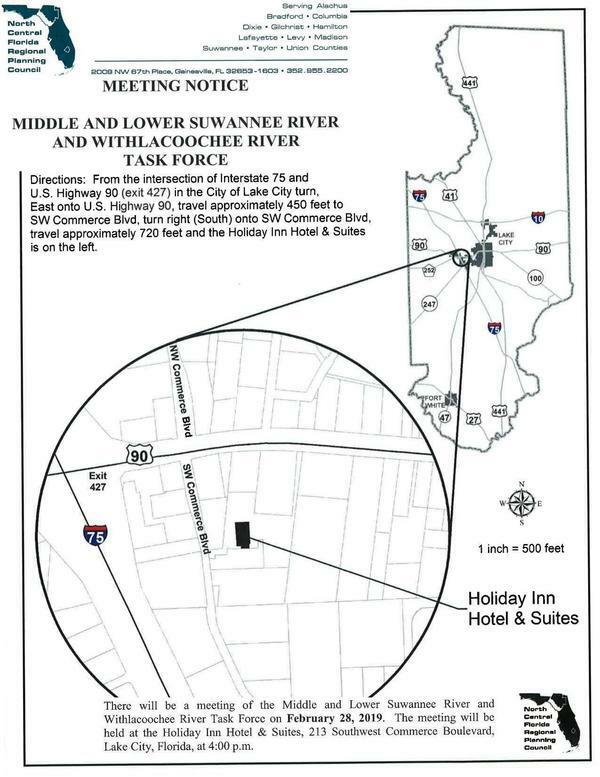 Directions: From the intersection of Interstate 75 and U.S. Highway 90 (exit 427) in the City of Lake City turn, East onto U.S. Highway 90, travel approximately 450 feet to SW Commerce Blvd, turn right (South) onto SW Commerce Blvd, travel approximately 720 feet and the Holiday Inn Hotel & Suites is on the left. 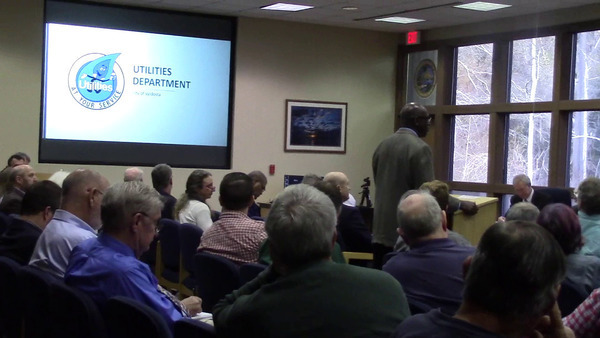 The agenda, after the customary introductory items, has only a resolution and Next Steps. 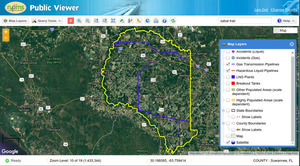 This entry was posted in Law, Quality, River, VWW and tagged Alachua County, Alapaha River, Bradford County, Columbia County, conservation, County, Dixie County, FDEP, Florida, Florida Department of Environmental Protection, Georgia, Gilchrist County, Hamilton, Lafayette County, Law, Levy County, Madison County, MCWTP, Middle and Lower Suwannee River and Withlacoochee River Task Force, Mud Creek Wastewater Treatment Plant, NCFRPC, North Central Florida Regional Planning Commission, north Florida, quality, river, Rivers Task Force, Scott R. Koons, sewage, south, SRWMD, Suwannee County, Suwannee River, Suwannee River Water Management District, Suwannee Riverkeeper, Taylor County, Union County, Valdosta, VWW, watershed, Withlacoochee River, Withlacoochee Wastewater Treatment Plant, WWALS, WWALS Watershed Coalition, WWTP on February 23, 2019 by jsq. Online today and in the paper Gainesville Sun this coming Sunday. To paddle the most-affected stretch of the Withlacoochee River, join us this Saturday morning. 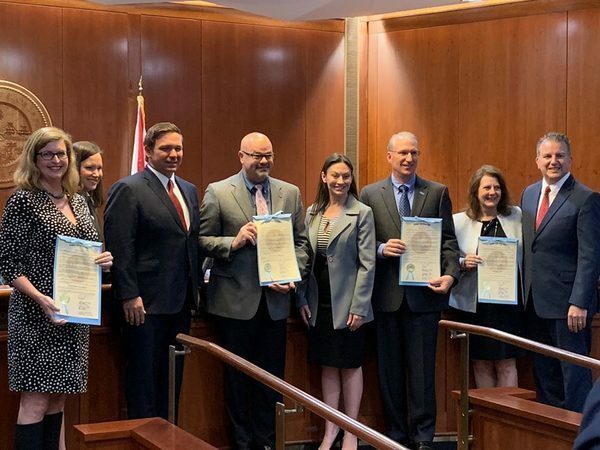 A December upsurge of raw sewage spills from the city of Valdosta, Georgia, has a dozen downstream counties organized into a task force, demanding action from Florida state legislators. But what action? I recommend first getting a grip on the extent of the problem, keeping that picture up to date and then funding fixes. Valdosta spilled not just twice, but two dozen times in December, totaling more than 6 million gallons of raw sewage. Spills also happened in Tifton, Quitman and Lowndes County, Georgia. This entry was posted in Basin, Law, Politics, Quality, River, Testing, VWW and tagged Alapaha River, Alapahoochee River, basin, consent order, conservation, Economics, enforcement, FDEP, Florida Department of Environmental Protection, GA EPD, Georgia, Georgia Environmental Protection Division, John S. Quarterman, Law, Little River, Lowndes County, north Florida, Politics, quality, Quitman, river, Sara Jay, sewage, south Georgia, spill, Suwannee River, Suwannee Riverkeeper, testing, Tifton, Troupville Boat Ramp, Valdosta, VWW, wastewater, watershed, Withlacoochee River, Withlacoochee Wastewater Treatment Plant, WWALS, WWALS Watershed Coalition, WWTP on January 31, 2019 by jsq. 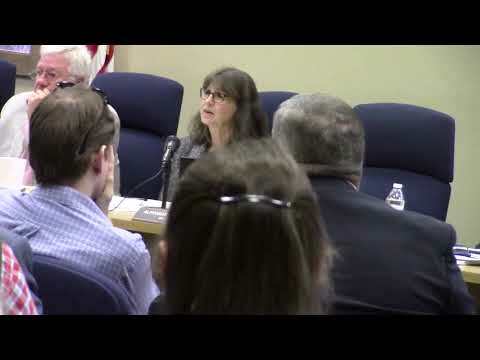 Moody recommends private well owners contact their county representatives for information on testing personal wells. 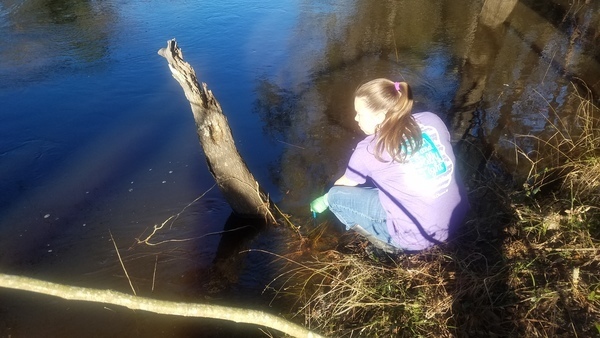 Paige Dukes, Lowndes County clerk and public information officer, said this is an opportunity for county residents such as Tann to have their water tested. Not only for PFAS but for any other contaminants that might be there. Indeed, and Lowndes County operates the Moody AFB wastewater treatment plant that spilled into Beatty Branch and Cat Creek. 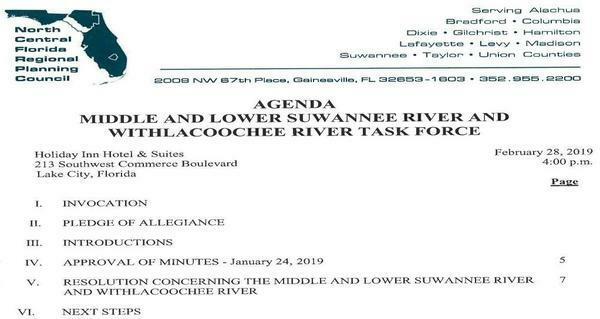 So it’s an opportunity for Lowndes County to help organize testing for these per- and polyfluorinated alkyl substances (PFASs), because testing for them isn’t nearly as simple or inexpensive as testing for other contaminants. 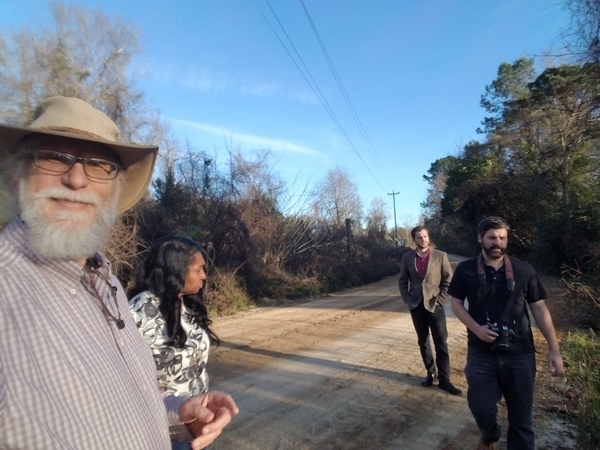 Suwannee Riverkeeper John S. Quarterman, nearby resident Debra Tann, VDT reporter Thomas Lynn and photographer Derrek Vaughn, at Beatty Branch, January 7, 2019. Photo: John S. Quarterman for WWALS. This entry was posted in creeks, EPA, FDEP, Law, Maps, Monitoring, Quality, River, Swamp, Testing and tagged Beatty Branch, Bill Slaughter, Cape Fear River Watch, Cat Creek, conservation, creeks, Dana Sargent, Debra Tann, dermal, Derrek Vaughn, DPH, FDEP, fish, Florida Department of Environmental Protection, Franklin Sanchez, GA EPD, GenX, Georgia Department of Health, Georgia Environmental Protection Division, Health South, John S. Quarterman, Moody AFB, Moody Air Force Base, north Florida, Paige Dukes, PFAS, quality, river, south Georgia, Suwannee Riverkeeper, swamp, testing, Thomas Lynn, Trust Indenture, U.S. EPA, Valdosta Daily Times, VDT, watershed, well, Withlacoochee River, WWALS, WWALS Watershed Coalition on January 18, 2019 by jsq. 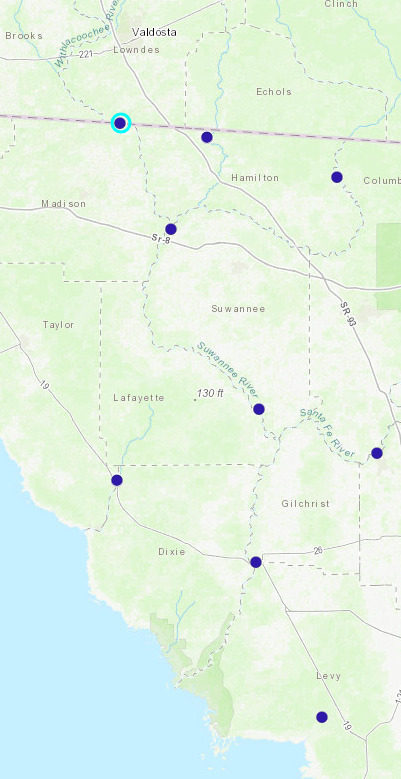 On November 13, 2018, I sent you a list of sixteen questions about Sabal Trail’s leak at its Hildreth Compressor Station in Suwannee County, Florida, on September 29, 2018. This entry was posted in FDEP, Law, PHMSA, Pipeline and tagged Arthur Buff, conservation, detection, Enbridge, FDEP, FERC, Florida, Florida Department of Environmental Protection, fracked methane, Hildreth Compressor Station, James A. Kelly, James Urisko, leak, lightning, natural gas, north Florida, PHMSA, pipeline, Pipeline & Hazardous Materials Safety Administration, Public Map Viewer, report, river, Sabal Trail Transmission, SMPP, south Georgia, Southeast Market Pipelines Project, Spectra Energy, Suwannee County, Suwannee Riverkeeper, VOC, Volatile Organic Compounds, watershed, Weather, WWALS, WWALS Watershed Coalition on December 19, 2018 by jsq.